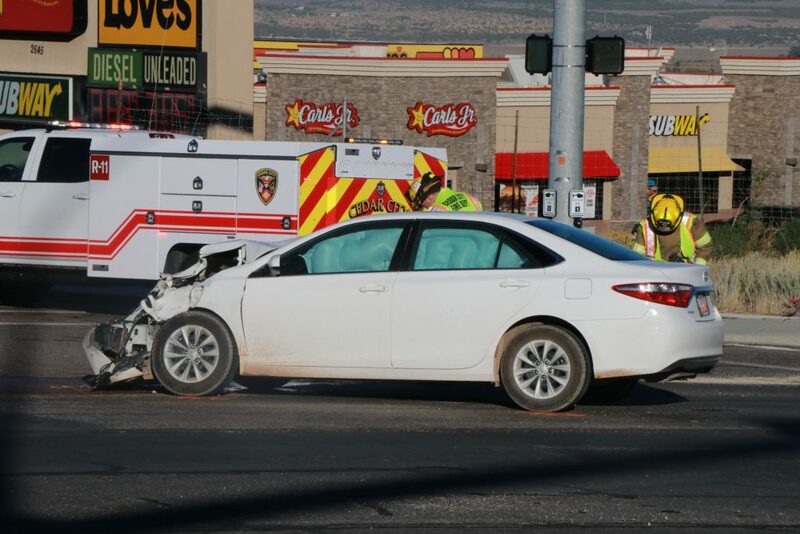 CEDAR CITY — Two vehicles collided Wednesday morning in an intersection at the north end of Cedar City by Love’s Travel Stop, injuring one of the drivers. Utah Highway Patrol Trooper Daniel Nielson said he was conducting an unrelated traffic stop nearby when the collision happened around 8:30 a.m.
A red Ford pickup truck and a white Toyota Camry passenger car had collided in the intersection of Canyon Ranch Drive and Main Street/state Route 130. 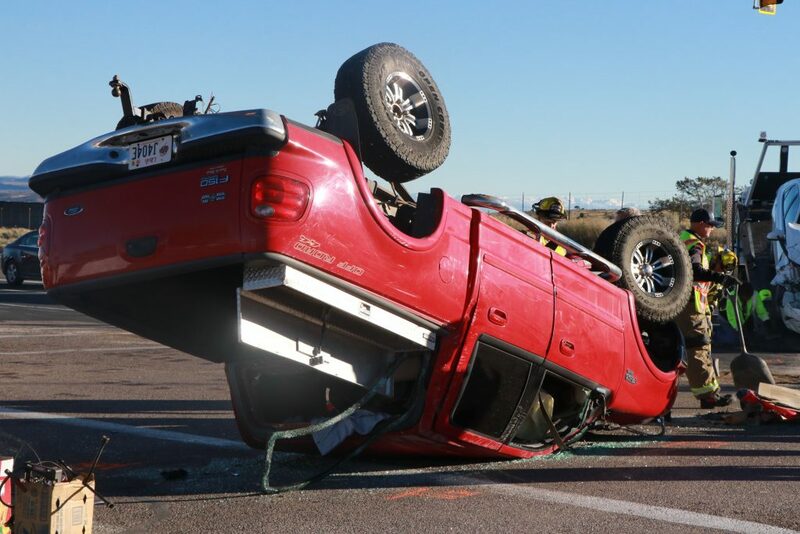 The force of the impact had flipped the pickup truck upside down in the road. Nielson said he immediately notified dispatch and went over to help the driver of the pickup, who was still inside his vehicle, unable to get out. “[He] was suspended in his seat belt, so I broke the window and cut him out of his seat belt because he couldn’t breathe, and we got him positioned on his back so he could breathe,” Nielson said. 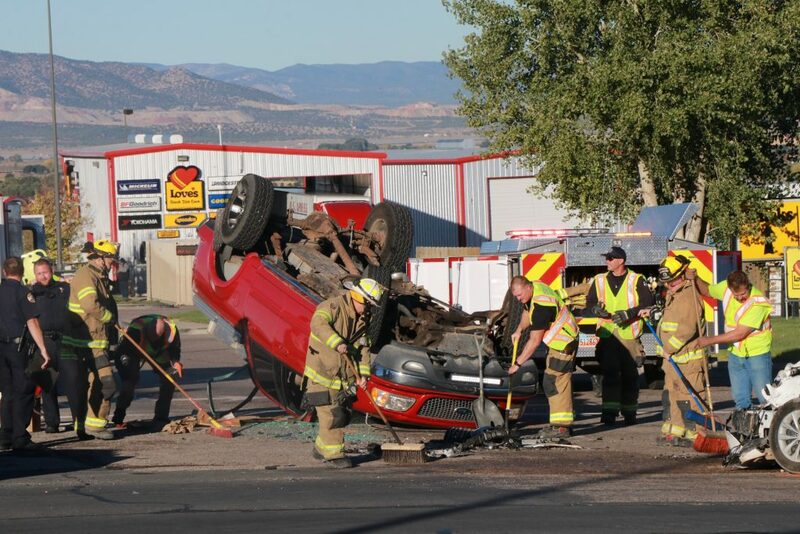 The man was evaluated at the scene by Gold Cross Ambulance personnel and later transported to Cedar City Hospital for his injuries, which reportedly included a separated shoulder and multiple broken ribs. 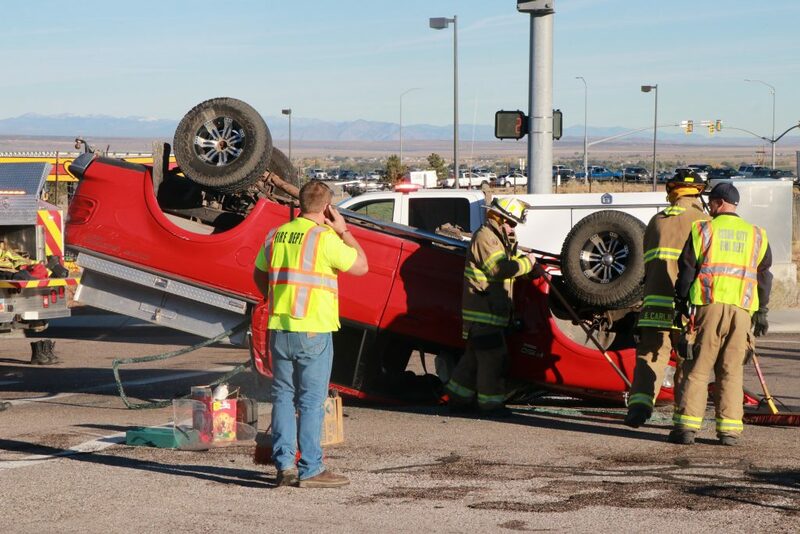 The three occupants of the Toyota Camry, an adult female driver and two juveniles, did not report any serious injuries, but Nielson said they did have a few minor cuts and scratches, and one of the juveniles said their wrist was hurting. 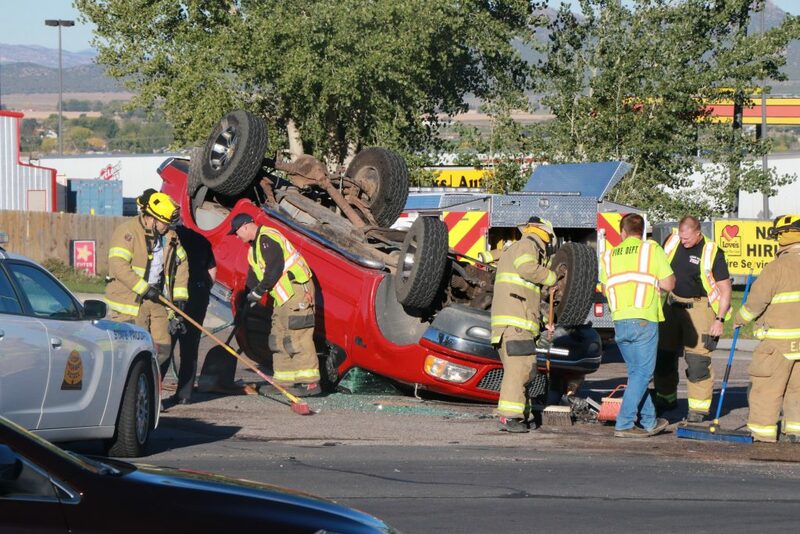 Nielson said the cause of the collision was still being investigated. 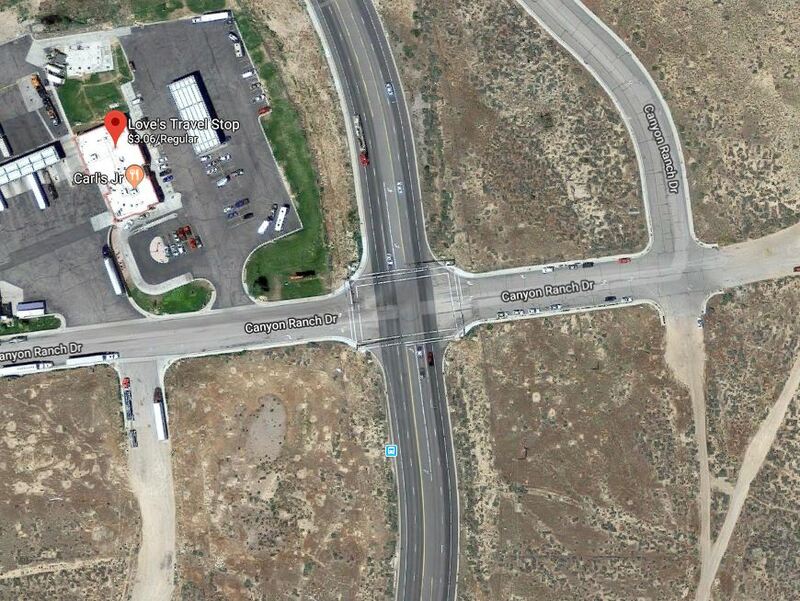 The truck had been heading east on Canyon Ranch Drive, having just exited the parking lot of the Love’s Travel Stop, while the Toyota was heading south on Main Street toward town. However, Cedar City Police Sgt. Jerry Womack said later that no citations will be issued, as both drivers appeared to have entered the intersection at a time when the light was either yellow or was in the process of changing. 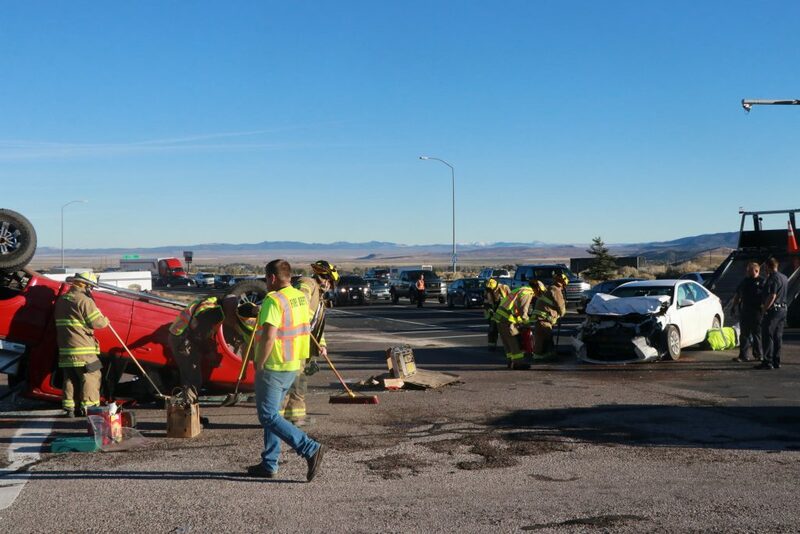 In addition to UHP and Cedar City Police, personnel from Cedar City Fire Department also responded to the scene and assisted with cleanup. Both vehicles were heavily damaged and needed to be towed. 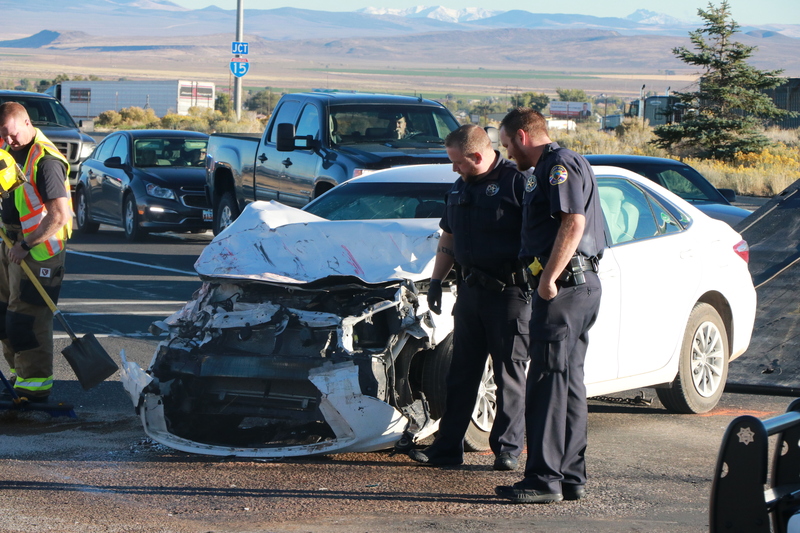 Traffic in the area, particularly in the southbound lanes, was impacted for approximately 45 minutes while the scene was cleared. Were they locals or was at least one from St, George?